These dual-lid storage cups keep paint from spilling out. The outer lid securely seals the cup, while the inner lid keeps the paint from spilling out if the cup gets knocked over. 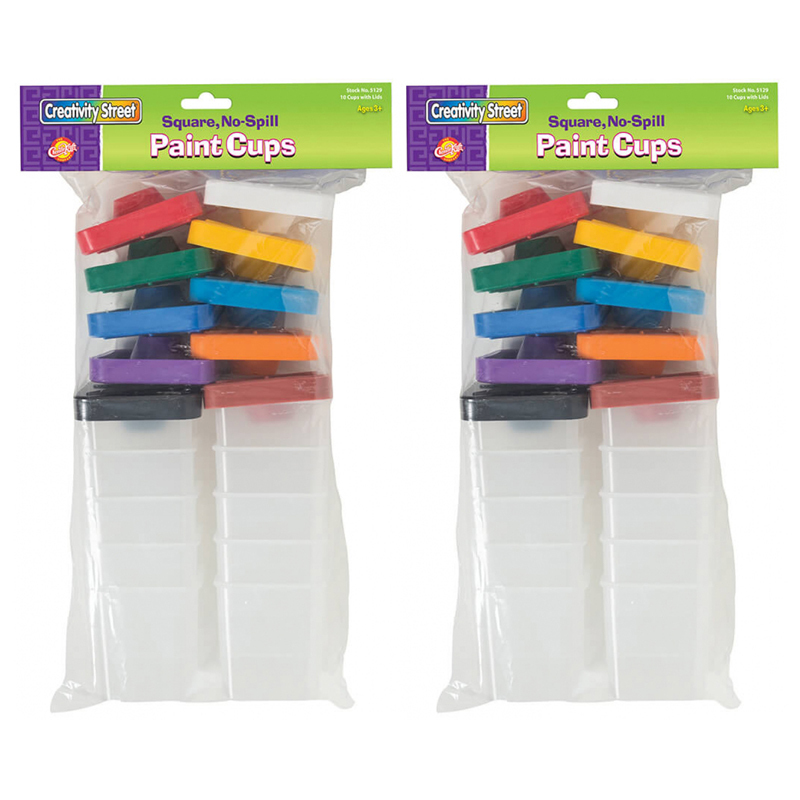 Square cups to prevent rolling if knocked over, and easily fit into children's easel trays. These cups feature a brush holder too! Each pack includes 10 cups with lids. Sold as 2 packs for a total of 20 cups. 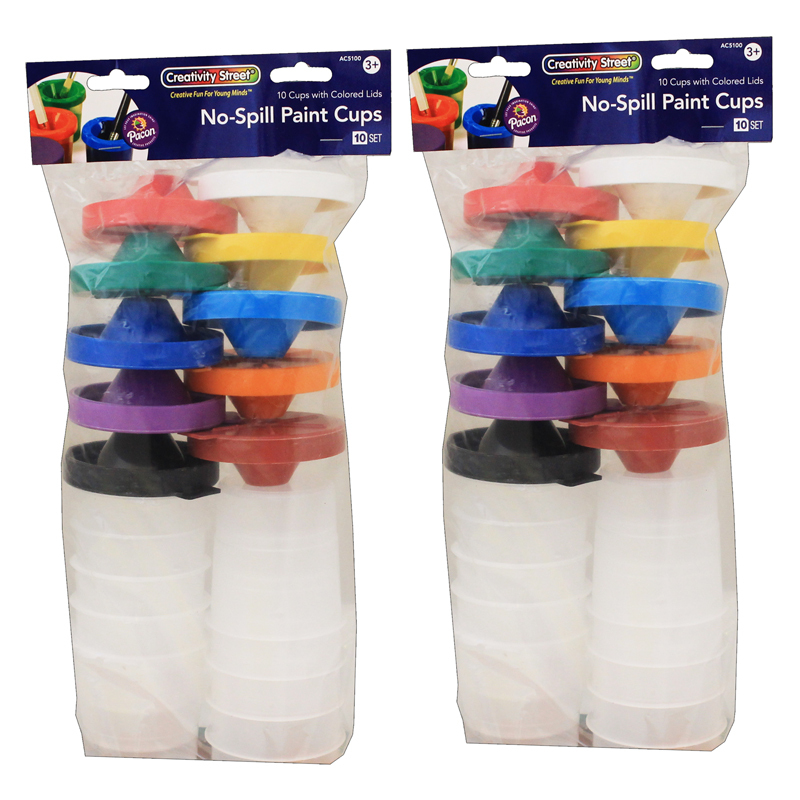 The (2 Pk) No Spill Paint Cups Square can be found in our Paint Accessories product category within the Arts & Crafts. 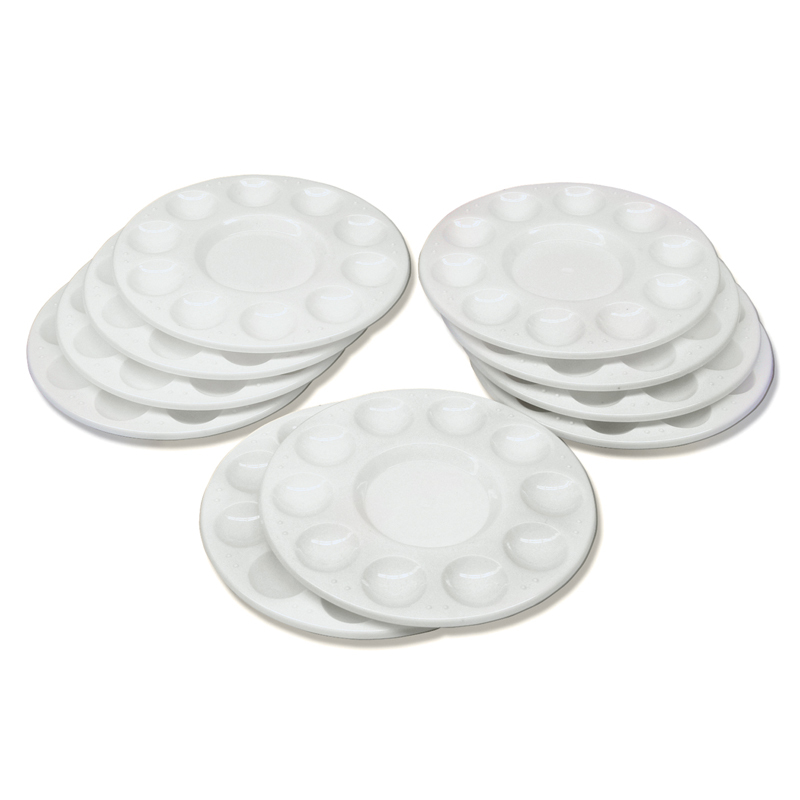 Durable White plastic tray features 10 paint wells that can hold watercolor, acrylics, tempera paints and more. Creativity Street Paint Trays are safe for children ages 3. Each pack includes 10 paint trays. Sold as 2 packs for a total of 20 paint trays.